Facebook has become a behemoth of social networking. As of June 2017 there were over two billion active users — or a quarter of the world’s total population. From its beginnings as a small project at Harvard College 10 Fascinating Facebook Facts And Figures 10 Fascinating Facebook Facts And Figures Believe it or not, Facebook is now 12 years old. Given its age and its ubiquity, you might think there is nothing left to learn about Mark Zuckerberg's dorm room project. You'd be wrong. Read More between Mark Zuckerberg and friends, it has grown into one of the world’s largest technology companies. Of course, their major stumbling block has always been user privacy and how they use your data. Even in its early days there were criticisms of how the social networking giant handled your data. Recent revelations have shown that Facebook has been experimenting on you Facebook's Fascinating (and Disturbing) History of Secret Experiments Facebook's Fascinating (and Disturbing) History of Secret Experiments Facebook has a tremendous amount of power, but doesn't always use that power for good. These experiments pushed the boundaries of ethics. Read More to put you in the “optimal” frame of mind to keep scrolling through the Newsfeed. Despite some surface changes, Facebook still has a problem with respecting your privacy and protecting your data. Facebook’s aggressive cloning of Snapchat features is well known. Instagram’s Stories were a direct response to the competition Snapchat Stories vs. Instagram Stories: What's the Difference? Snapchat Stories vs. Instagram Stories: What's the Difference? At first glance Instagram Stories and Snapchat Stories are very similar, but there are a couple key differences that mean they aren't interchangeable. You'll want to avoid a social media faux pas! Read More that the ephemeral messaging app posed. Stories were a rousing success, far outstripping the reach of Snapchat’s own user base. Buoyed by this success, Facebook knuckled down and added similar features to the Facebook app and WhatsApp. However, a question remained: how did Facebook know their approach was working? The answer lies in its quiet acquisition of the mobile analytics firm Onavo. After the purchase, Onavo continued in its mission to monitor data and app usage. However, they released a number of consumer apps like Onavo Protect, a VPN app The Best VPN Services The Best VPN Services We've compiled a list of what we consider to be the best Virtual Private Network (VPN) service providers, grouped by premium, free, and torrent-friendly. Read More to protect your security — except that wasn’t really the aim. Onavo Protect manipulated users into agreeing to Terms and Conditions that would grant them access to all traffic sent through the service. VPNs are a great way to protect yourself online 11 Reasons Why You Should Be Using a VPN 11 Reasons Why You Should Be Using a VPN Virtual private networks are affordable and easy to use. Here are some reasons why you should be using a VPN if you aren't yet. Read More , but as Onavo demonstrates, you do need to trust your VPN provider 5 Signs You Can Trust Your VPN Client 5 Signs You Can Trust Your VPN Client Using a VPN helps protect your traffic from snooping and your information from theft. But how can you be sure that your VPN is protecting you? Here are five signs your VPN is trustworthy. Read More . According to a report by the Wall Street Journal, Facebook developed an internal tool that would explicitly analyze traffic volumes to rival apps and services. 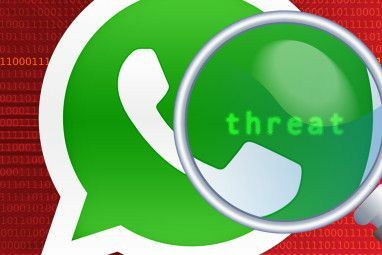 This tool even influenced their purchase of the messaging service WhatsApp. While the immediate implications of Facebook monitoring all your browsing activities are clear, something else lurks in the background. By using this data to buy up successful rivals, Facebook is able to cement its market dominance, creating a monopoly and potentially stifling competition and innovation. Facebook’s main source of revenue comes directly from advertising — they even operate their own ad-serving platform. In the digital era, a marketing campaign is judged on its click-through rate (CTR). To create a higher CTR, advertisers like to make sure they are showing their ads only to those most likely to click on them. By encouraging users to post ever more information about their lives, Facebook has a trove of data Facebook Privacy: 25 Things The Social Network Knows About You Facebook Privacy: 25 Things The Social Network Knows About You Facebook knows a surprising amount about us – information we willingly volunteer. From that information you can be slotted into a demographic, your "likes" recorded and relationships monitored. Here are 25 things Facebook knows about... Read More that allows them to target ads to those most likely to click. While that approach works for users of the social networking site, there is still an untapped market of almost five billion non-users from which they can profit Facebook Tracks Everybody, MySpace Got Hacked... [Tech News Digest] Facebook Tracks Everybody, MySpace Got Hacked... [Tech News Digest] Facebook is tracking everybody across the Web, millions of MySpace credentials are up for sale, Amazon brings Alexa to your browser, No Man's Sky suffers a delay, and Pong Project takes shape. Read More . To make the most of this potential, Facebook has taken to collecting and storing your data, even if you don’t have an account. 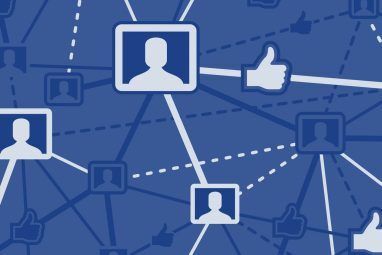 This tactic has led to the creation of shadow profiles Facebook Shadow Profiles: You Probably Have One Too [Weekly Facebook Tips] Facebook Shadow Profiles: You Probably Have One Too [Weekly Facebook Tips] You think you're not on Facebook? Think again. Facebook no doubt has a shadow profile made just for you. You may recall recently that Facebook found a bug exposing personal details of 6 million user... Read More over which you have zero control. A recent study by researcher David Garcia published in the journal Science Advances explored how shadow profiles can impact non-users. By using data from the now-defunct social network Friendster, Garcia was able to predict with startling accuracy a non-user’s relationship status and sexual orientation. The study highlights the privacy implications for such shadow profiles. If you do not use a service, should it be acceptable that a decision made by someone else should impact your privacy so negatively? Although there is no direct evidence that Facebook performs such profiling, that hasn’t stopped them from tracking non-users It Doesn't Matter If You're Not On Facebook: They're Still Tracking You It Doesn't Matter If You're Not On Facebook: They're Still Tracking You A new report claims the Facebook is tracking people without their permission. It doesn't matter if you don't use social networking service: they're still watching you. What can you do about it? Read More . As your Newsfeed overflows with videos, news, and political opinions, it may seem hard to recall Facebook’s original goal was to connect you with your friends Facebook Friend Requests: Unwritten Rules & Hidden Settings Facebook Friend Requests: Unwritten Rules & Hidden Settings On Facebook, innocent mistakes can lead to drastic consequences. Novices face many stumbling blocks. But with our Facebook friend request tips, you can avoid unintentional punishment. Read More . Whether close friends or acquaintances from school, you could send a Friend Request and then passively observe their happenings. To make finding your friends even easier, Facebook introduced the People You May Know tool. By combining your social network and other personal information, Facebook always has a suggestion ready to go. What information is included is something of a mystery. Facebook isn’t totally transparent about how the People You May Know tool works. Their support page lists mutual friends, shared networks and groups, and uploaded contacts as some factors. However, there have been many reports of surprising people showing up as suggestions. This included a psychiatrist’s patients being recommended to each other, inadvertently exposing their medical situation. Just as Google claims it isn’t listening to your every word Does Your Phone Listen to You for Ads? (Or Is It Just Coincidence?) Does Your Phone Listen to You for Ads? (Or Is It Just Coincidence?) Your phone has a built-in microphone, but is it listening to you? Is your smartphone sharing your secrets with Google or Facebook? Read More , Facebook claims the People You May Know suggestions aren’t based on location data. However, anecdotal evidence of location-based suggestions has been mounting. In a move sure to inspire trust, Facebook confirmed it uses location data, then denied it just three days later Facebook's Disturbing Friend Suggestions May Violate Your Privacy Facebook's Disturbing Friend Suggestions May Violate Your Privacy Lately, there have been some rather disturbing reports of Facebook using sensitive information to come up with "People You May Know" suggestions. We took a look how this might be happening. Read More . Despite being one of the world’s most popular websites, Facebook has so far managed to avoid the inevitable security breach. Although there have been security concerns How Secure Is Facebook, Really? A Roundup Of Breaches & Flaws How Secure Is Facebook, Really? A Roundup Of Breaches & Flaws Facebook, a website which is less than a decade old, now has over a billion users. Those users share a lot of information about their lives. Where they live, who they associate with, what they... Read More , most of these have been as a result of social engineering attacks How To Protect Yourself From These 8 Social Engineering Attacks How To Protect Yourself From These 8 Social Engineering Attacks What social engineering techniques would a hacker use and how would you protect yourself from them? Let's take a look at some of the most common methods of attack. Read More or poor password security 7 Password Mistakes That Will Likely Get You Hacked 7 Password Mistakes That Will Likely Get You Hacked The worst passwords of 2015 have been released, and they're quite worrying. But they show that it's absolutely critical to strengthen your weak passwords, with just a few simple tweaks. Read More . Unfortunately the same cannot be said of Facebook’s photo-sharing subsidiary, Instagram. In August 2017 it was widely reported that hackers had stolen contact information relating to verified accounts. In the ranks were the phone numbers and email addresses of high profile celebrities, politicians, and sports stars. As the story unfolded, it became clear that the hackers had actually made away with contact information for over six million accounts, including those of many regular users. The flaw that the attackers exploited has since been fixed, as noted on Instagram’s blog. The hackers went on to set up a website with the leaked information, charging $10 per search. Fortunately, no passwords were compromised. However, the leaked information — email addresses and phone numbers — may be enough to bypass Instagram’s two-factor authentication What Is Two-Factor Authentication, And Why You Should Use It What Is Two-Factor Authentication, And Why You Should Use It Two-factor authentication (2FA) is a security method that requires two different ways of proving your identity. It is commonly used in everyday life. For example paying with a credit card not only requires the card,... Read More . Although the leak only affected six million accounts, that is approximately 1 percent of Instagram’s 700 million users. If a similarly proportioned attack were to happen on Facebook, that would be a staggering 20 million compromised accounts. Were a hacker to gain access to your Facebook account, it could have devastating consequences. 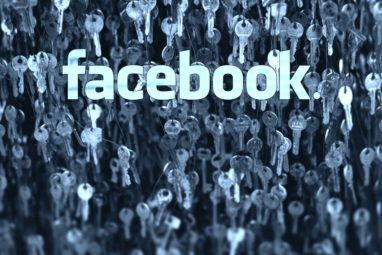 Fortunately there are steps you can take to secure your Facebook account Secure Your Facebook With These 6 Simple Tricks Secure Your Facebook With These 6 Simple Tricks Facebook can be pretty scary when it comes to security, but with a few minutes and the right tools, you can keep your account rock-solid. Read More . If you suspect your account may have been hacked, you should switch to damage control mode 4 Things to Do Immediately When Your Facebook Account Is Hacked 4 Things to Do Immediately When Your Facebook Account Is Hacked Having your Facebook account hacked is a nightmare. Here's how to secure a hacked Facebook account and contain the damage. Read More . What’s a Facebooker to Do? 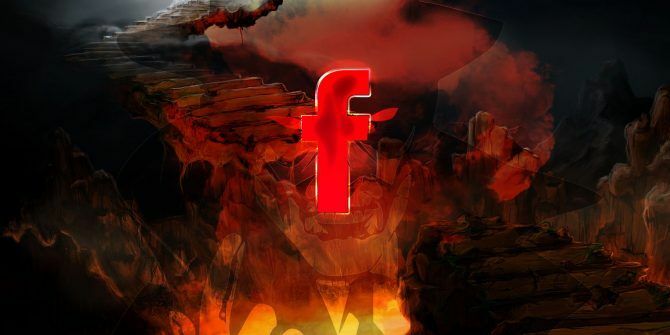 Fortunately, you can choose not to use Facebook and delete your account How To Permanently Delete Your Facebook Account [Weekly Facebook Tips] How To Permanently Delete Your Facebook Account [Weekly Facebook Tips] For whatever reason you may have, one day you might find yourself wanting to delete a Facebook account. Perhaps you had a few accounts and want to delete the extra ones. Maybe you want to... Read More . Despite capturing a quarter of the world’s population, there are almost five billion people not on Facebook. Of course, this may not help you when you start to feel the FOMO burn 4 Reasons We'll Never Really Want To Give Up Facebook 4 Reasons We'll Never Really Want To Give Up Facebook Facebook is changing human psychology. And that's why it's going to stay with us. For a very long time. Read More . As long as there is money made from exploiting your data, then Facebook will continue down that path. With advertising rapidly moving online into our social feeds, there aren’t any signs of a change of heart in the near future. What do you make of Facebook’s actions? Do you think you can trust them? Or are the problems overblown? Do you even still use Facebook? Let us know in the comments below! Why single out Facebook? ALL companies that we deal with and many that we don't, collect any and all information they can about anybody they can. Facebook may be the most egregious but Google and Microsoft are not far behind. Mozilla have no ostensible connection to Google so the reasonable expectation is that Firefox/Thunderbird/SeaMonkey users are safe from Google's data gathering. Unfortunately, nothing can be further from the truth. There are at least 5 Firefox about:config settings that I know off that allow Google to be notified about every site that a user visits and every search that a user makes, even if a search engine other than Google Search is used. These settings do not appear in Preferences. The only way they can be accessed and changed is by editing about:config. It begs the question that if there are 5 settings, are there more, even better disguised. Also, since Firefox sends data to Google, it is almost certain that Sea Monkey and Thunderbird do too. You are quite right that many companies can't be trusted with our data. I chose to write this article on Facebook after the Onavo tracking was publicised. From having a glance at the FF about:config it looks as though all the requests made to Google are for their safe browsing service. I could be wrong on this (so happy to be corrected) but it appears as though Firefox isn't sending data but requests a safe browsing blacklist to compare sites against. "it appears as though Firefox isn't sending data but requests a safe browsing blacklist to compare sites against." Maybe your understanding will be different than mine. From reading the Wiki that site links (http://kb.mozillazine.org/Browser.safebrowsing.enabled) the description is "Compare visited URLs against a blacklist or submit URLs to a third party to determine whether a site is legitimate. (Default)". This is my first time looking into this, but to me it suggests that Google supplies a blacklist to compare against, although since the description also lists about sending to third party I can't disagree with your statement either. It's all driven by the adverts, they're evil and drive disgusting business practices. I use facebook less and less and am looking forwards to giving it up completely. I came across oventy the other day - doesn't look like they are live yet, but they are promising an advert free social network. We shall see if they can pull it off. "Tinfoilhat for Facebook" and I kill it when done, with a convenient button in the app menu. I use another app like it for Twitter too. But have used it more in the past year. I don't really like any of the tech giants right now, but, use many of Google's apps, because of Android. I am however, moving away from all of them, for various reasons. I keep all settings as private as can be made, and not completely cripple the services. And NO VOICE activation. Sounds like you are taking good, reasonable steps to protecting your privacy. Facebook wrappers are a great compromise between keeping the social network, and clawing back some privacy.